Back in January, a rumored engineering sample of Gonzalo named "2G16002CE8JA2_32/10/10_13E9" was sighted. 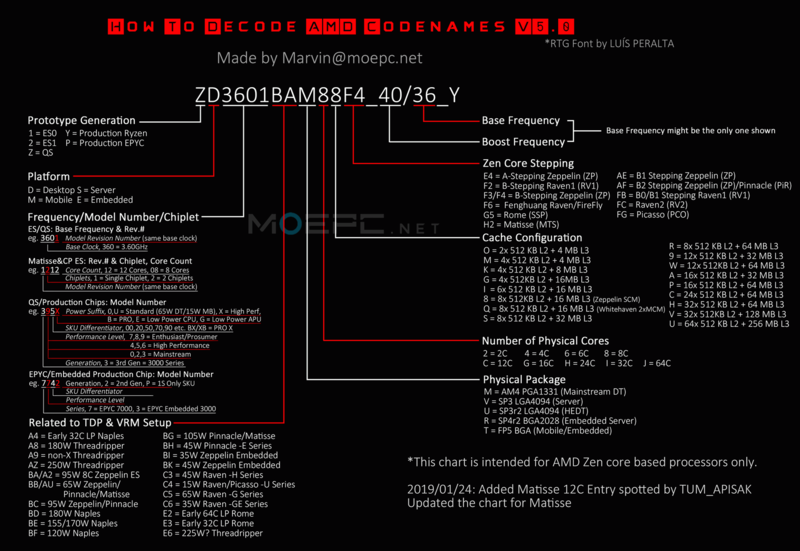 Using Marvin’s AMD Name Decoder showed the chip’s CPU has eight physical cores running at a 1GHz base clock and 3.2GHz boost clock. While we don’t know if it uses Zen+ or Zen 2 architecture—probably the former—the PCI-ID shows an AMD Navi 10 Lite GPU running at 1GHz. Now, a new, slightly different code—ZG16702AE8JB2_32/10/18_13F8—has been found by leaker TUM_APISAK. 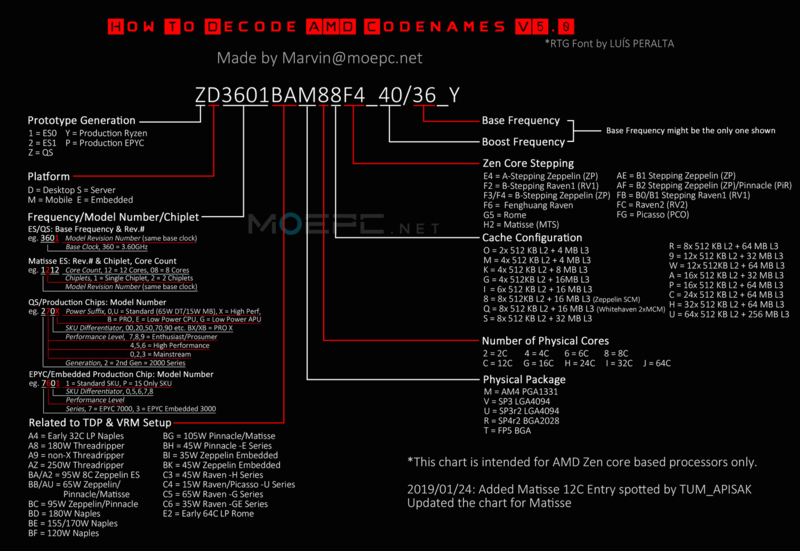 The ‘Z’ at the start is what indicates this is a qualification sample, meaning progress on the chip is moving along smoothly, and while the number of cores and their boost clock speed remain unchanged, it appears the base clock has been upped to 1.6GHz. Additionally, the qualification sample’s previous PCI-ID has changed from 13F8 to 13E9, indication a different version of Navi 10 Lite that’s now running at 1.8GHz. Gonzalo APUs are expected to be found in the PlayStation 5 and Microsoft’s Xbox Scarlet machines. Assuming the specs are accurate, we can expect to see some major performance gains over the current generation PS4 and Xbox One. The big question now is whether these consoles will be unveiled this year or next. We’ll know for certain when E3 rolls around in June. Both Xbox One X and PS4 Pro lost my attention and I went and built a gaming PC and bought 2 gaming laptops. I sincerely doubt this "next gen" console will have the power of an i9ex with a 2080ti, or even an i7 with a 1080. I doubt "ray tracing" will be a priority in the next-gen consoles. And I KNOW they won't have 32GB of DDR4. I'd love to benchmark these things vs. my desktop. Bases on the parts you listed, you're looking at a near $2000 PC versus a console that may retail for $500 when released. Namtrooper, Drew Valadez, Knot Schure and 7 others like this. Mjswooosh, Digitalzone, Charles Olson and 4 others like this. $2K? You are laughably behind the times. His GPU alone is 1200$. His CPU, an i9 (I presume ex stands for "extreme") costs over $2K ALONE. If it isnt an extreme chip, he could get it for the low low price of $1K. So just on GPU and CPU alone, he has spent more then $2k, possibly more then $3K. And that is before you figure in RAM, storage, case, power supply, ece. And the mustard race doesnt go cheap on their accessories, so I'd hazard a guess that his PC is running just over $5k all said and done, assuming he paid for a copy of windows for his mustard PC and didnt pirate it. Vito05, Charles Olson, TempleOrion and 3 others like this. One could say that about anything... For example, I could spend $5 and buy a deck of cards rather than buy a console - you know, what kids did 45 years ago. Eldritch, Charles Olson, JaredTheDragon and 1 other person like this. Yeah, let's benchmark a $400-$500 console against a $3,000+ PC and see which is faster! Makes total sense! Sarcasm aside, this generation's console hardware has undoubtedly been anemic, but it hasn't stopped the PS4 from putting out some visually impressive titles (Horizon: Zero Dawn, God of War, Ghost of Tsushima). Sony's dev kits definitely make the most of whatever they're working with. Digitalzone, Charles Olson, SikSlayer and 10 others like this. "changed from 13F8 to 13E9"
And that's not counting the cost of the TRIAD tower and its peripherals. These things start at $2000. I'm on the other hand have both a high end PC, PS4 Pro, & Switch. I get to enjoy the best of both worlds. I don't resort nor limit myself to just one specific platform like a fanboy or some elitist. Mjswooosh, Namtrooper, Mikael_r and 9 others like this. PCMR guys are more akin to someone that spends $600 importing a pack of cards from overseas and then dissing your cards because they dont look as fancy as THEIR cards do, despite both packs of cards playing the same games. Charles Olson, TempleOrion, Raytrace3D and 1 other person like this. Hate on consoles all you want but this next generation will offer some incredible performance for the cost. And this is coming from a lifetime pc gamer. The only question is will it be enough for good visuals and performance at 4K. Mjswooosh, Knot Schure, Digitalzone and 8 others like this. You may doubt, but you don't know. You can compare pure power of a GPU or CPU but you can't judge game performance now when it'll run on different platform in the future. Btw, your beloved bad port could eat everything out. The cpu seems awfully under powered, 3.2ghz max? The CPU is a MASSIVE upgrade on the 8 Jaguar cores in Xbox One X, the fastest version @ 2.3GHz. Even 4 Zen cores @ 3GHz would be a big jump, so slow are the Jaguar mobile cores. This would certainly mean more games are not limited to 30FPS by a severe CPU bottleneck. Chances are they will reserve two cores for the system/OS, and leave devs with 6 cores and 12 threads for games at least initially. 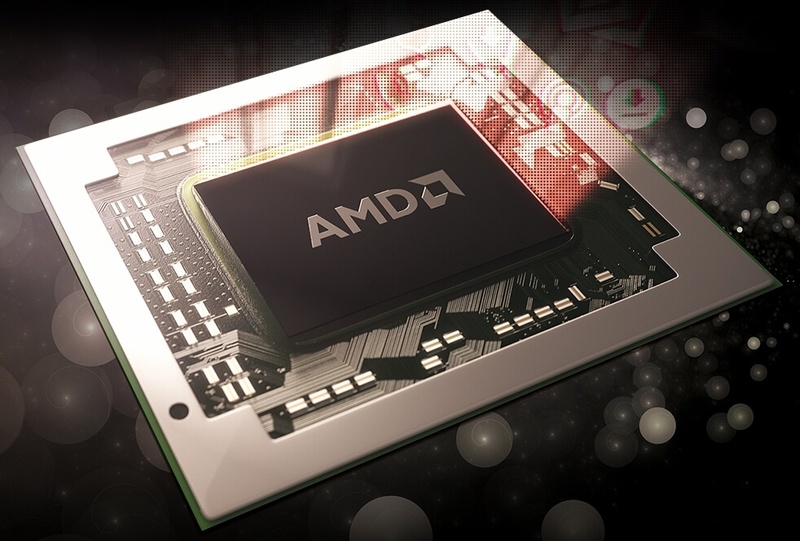 "AMD Navi 10 Lite GPU"
Now this is the big question, how fast is this GPU? I suspect it's not very fast at all, probably no faster than a Vega 56 in new consoles at least. This is going to be an off the shelf Navi based part, downclocked from the desktop versions. By the time these machines (one assumes 2020 at the earliest) arrive Vega 56 level performance is going to be lower mid range, at best. This is where AMD consoles will fall down. Their graphics division has been so weak that they are not going to be impressively faster than Xbox One X. Not a generational leap, anyway. They will be a nice step up from base PS4 hardware, but that shouldn't be difficult as it is 6 years old this year. Knot Schure and pencea like this. The generation leap will come from the CPU not the GPU this time around, although the GPU will be plenty good for the consoles to do 4K with decent visuals and FPS. Mjswooosh, Charles Olson, VeeTeeF and 1 other person like this. The CPU is without doubt the biggest upgrade, but ultimately the kind of visuals these machines can push is entirely limited by what the GPU can do. Perhaps when the machines launch Sony/Microsoft will stress what an increase in CPU performance can bring. For example possibly more complex AI routines, more players online, more intricate detail on what people might call the gameplay side. We all know casual consumers salivate over flashy visuals more than they do showing graphs about how many AI threads can be run. Visually the games might not actually look all that much better than what an Xbox One X can do. X1X itself basically runs PS4 level games, at 4K or not quite 4K. That's it. It does very little more to them, minor visual enhancements besides resolution. So next gen will be native 4K or close to it, but realistically even with double the GPU performance of Xbox One X you aren't going to see an enormous leap in asset quality the likes of which has been seen in prior generations. They would look like slightly better 4K X1X games. They are going to have to put a big emphasis on what else the consoles are doing besides polishing up the visuals. Whoever translates that best to the consumer in their games will win. "Zen+ or Zen 2, but probably the former." LOL what? There is almost ZERO chance the PS5 uses an outdated Zen architecture. It's common sense that it will use the worst yields of Zen 2.
msroadkill612, Mjswooosh, Charles Olson and 1 other person like this. It's going to be quite a bit stronger than Vega 56. Most likely scenario is a GPU core between the 2070 and 2080, but a large bus offering bandwidth closer to a 2080 Ti or even higher. This thing is meant for 4KUltra 60FPS gaming. I very highly doubt it'll be faster than a RTX2070! That's just wishful thinking, Navi would have to be an amazing architectural leap to be better than an RTX2070 and fit inside a console box. It would have to overtake Nvidia's power efficiency, AMD can't even get close to matching it, let alone beating it. This is about cost and it's about TDP. Nvidia's GPU architectures are FAR superior to anything AMD currently have in performance per watt, ludicrously better. A 12nm RTX2070 with an overclock (your performance estimation) is a 200w card. Even on TSMC 7nm RTX2070 OC would be a 130+ watt card which is barely manageable in a console box. Especially when you throw in a full desktop class CPU, I/O and anything else they cooked up on the SoC, plus memory and so forth. That's easily a 200w machine on 7nm from what we know of AMD's portfolio. That's rather above the realistic upper limit. Xbox One X has demonstrated this, it's about 180w. The vast majority of that is the GPU, because the CPU is a tiny mobile chip, single digit wattage core. You just can't dissipate more in a small box built to a budget, simple physics says so. RTX2070 would be a tight fit. The real point of all this is we haven't seen AMD display anything like an ability to get near the performance per watt of Nvidia GPUs for years. RTX2070 has the kind of power efficiency AMD can only dream of. A TSMC 12nm RX590 which can pull >225w is no faster than a TSMC 12nm GTX1660 which is at most a 130 watt card! From what I have seen and heard Navi 10 is nothing more than a pumped up Polaris that takes it into the Vega class rather than a total clean sheet redesign that would be needed to challenge Nvidia above the RTX2070. Navi 10 might get close to challenging RTX2070 as a desktop GPU, but jammed on an SoC inside a console alongside another 5+ billion transistors? No way. It'll be downclocked and downvolted so much to simply reach thermal requirements and yield targets. At best Vega 64 performance in a console. Morris Minor, Eldritch and JaredTheDragon like this. Great the next gen of consoles doesn't cost 1,500 dollars or more. This may be true to some degree for TV's using at or below 1080p. But for newer and future TV's using 4K resolution and above, it will probably be heavily dependant on the GPU of the console, much like PC's. I could be wrong though. I very highly doubt it'll be faster than a RTX2070! That's just wishful thinking, Navi would have to be an amazing architectural leap to be better than an RTX2070 and fit inside a console box. Ehhh no, it really wouldn't have to be. It's rumored to have a Navi 10 die, but less cutdown than the RX 3080. If the RX 3080 is already supposedly in the 2070-2080 region, then there's no reason a less cut version couldn't edge it that little bit higher. Additionally, rumors point to the PS5 having a 320-bit memory controller with the fastest GDDR6 available. That would give it another big boost. Either way I wouldn't double down on my bet until we have some more info about Navi and Consoles (Should have concrete stuff by the end of this month). Check out "Moore's Law is Dead" on youtube for more info. Mjswooosh, Charles Olson, JaredTheDragon and 1 other person like this.